It’s been a while since I posted last, because I’m slack. That doesn’t mean I haven’t been doing anything though! 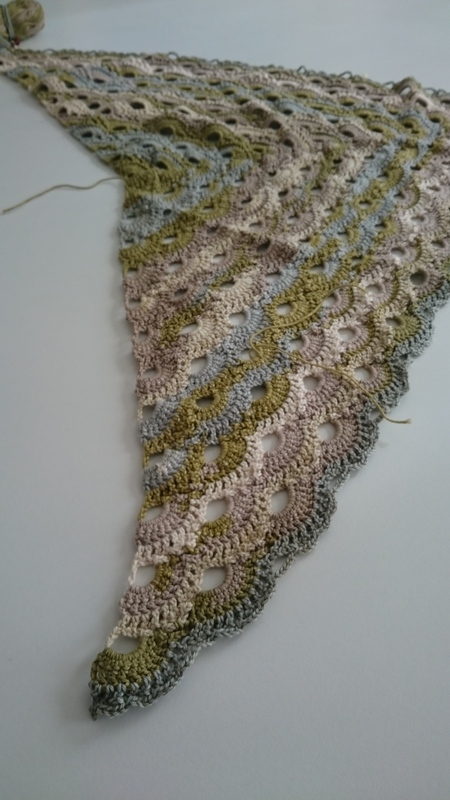 Last week I finally finished my Cedar Leaf Shawlette. I am SO happy with it. After blocking it ended up over two metres in length, and I’m sure will be a regular accessory in the cold weather in a couple of months time. 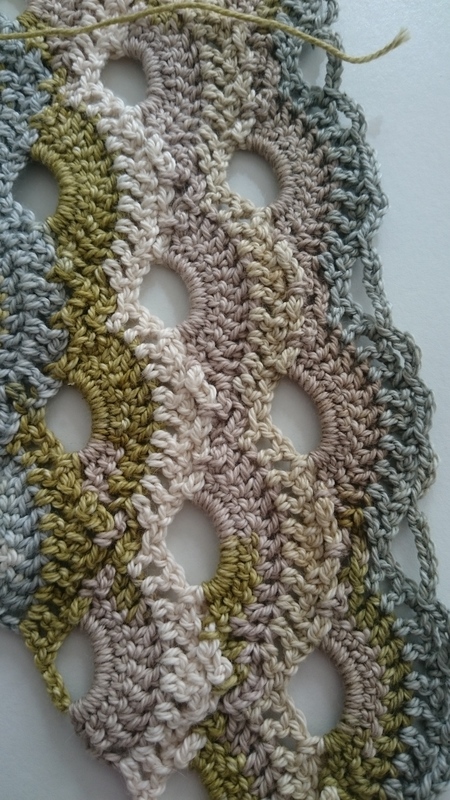 That pattern was extremely easy and very well written, and I already have the yarn to make another for a friend. 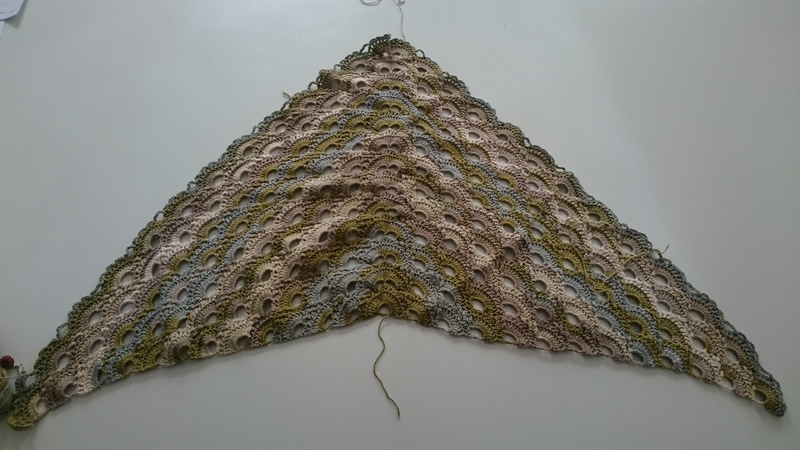 As promised, here are some photos of the shawl and its progress….as you can see, I’ve done quite a bit over the last two weeks. I think another foot or so on each side will see it finished.